Our rut moose hunts run during the last week of September through the first two weeks of October. The rut hunt we do lots of calling to bring the bulls in. The weather is usually mild this time of year. The larger bulls are usually taken on this hunt averaging from 40-50 inches. We take a minimum number of hunters per season during this time to keep success rates very high. 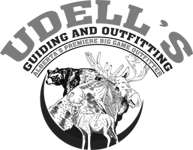 We are confident that you will have an opportunity at a bull because of the areas we hunt and the way our hunts are set up. The late season hunt runs in November after the rut. The bulls are generally grouping back together at this time and we spend a lot of time covering miles of country to find where the bulls are feeding post rut. Once located we will move in for the stalk. Weather on this hunt can vary greatly from quite warm to extreme cold depending on the year. Bulls on this hunt average from 35-45 inches. We only take a limited number of hunters on this hunt as well. Historically we have had very high success on this hunt. 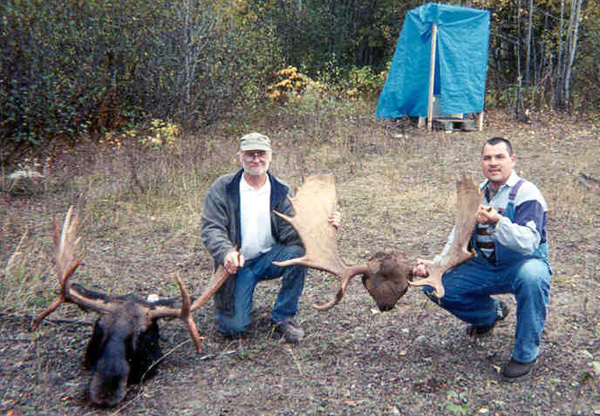 Our Moose hunts take place in the forests of Northern Alberta about 3 hours north of Edmonton. Our area has an excellent population of moose with the trophy potential being very high. The area is a combination of forests and muskeg swamps that the moose love. Accommodations for the rut moose hunt will be in out comfortable tent bush camp. Our sleeping tents are canvas wall tents with wood stoves and cots. You will have a full breakfast prior to going to your stand, a bag lunch to take with you on your hunt, and a hearty dinner at the end of the day. 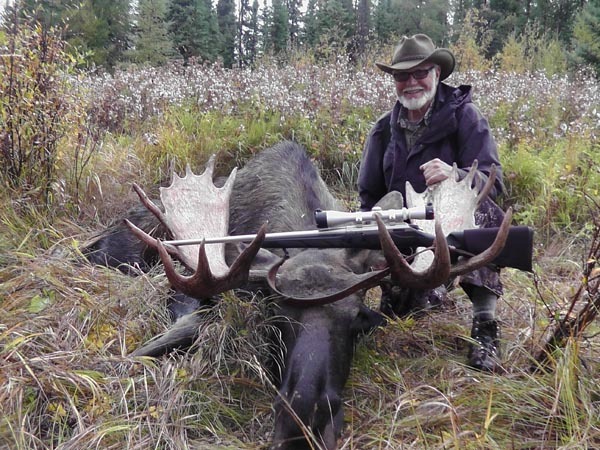 Our late season moose hunts you will be staying in a local motel with breakfast and supper in local restaurants. A bag lunch is provided for you to take with you in the field.